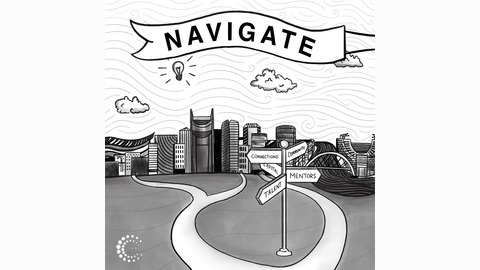 Navigate, powered by the Nashville Entrepreneur Center, is a podcast dedicated to shining a light on Nashville’s entrepreneur ecosystem. EC team members and hosts Brynn Plummer and Clark Buckner interview entrepreneurs, business experts, investors, local government officials and organizations that support entrepreneurs across the city. Businesses aren’t grown in a vacuum, and neither are entrepreneurs. Nashville is unique – and there are a few special ingredients that make it a community that’s ripe with entrepreneurial success, including more than 250+ resources that exist for just one purpose – to work alongside entrepreneurs. 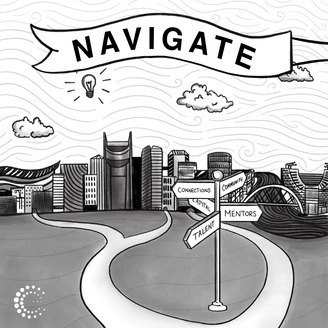 Through this podcast, you’ll learn how successful Nashville entrepreneurs built their businesses, while meeting the people and places that support entrepreneurship throughout our city. Navigate is supported by the Mayor’s Office of Economic and Community Development and presented by the Ewing Marrion Kauffman Foundation. Professional investors account for only 3% of all startup funding. The other 97% of capital often comes from non-professionals, including sources like angel investors, crowdfunding, bootstrapping and friends and family. Phil Shmerling and Monique Villa share their experience and expertise on how early stage entrepreneurs fund their startups.